Explore the world of luxury fragrance for the home with The Scent Room’s range of candles. 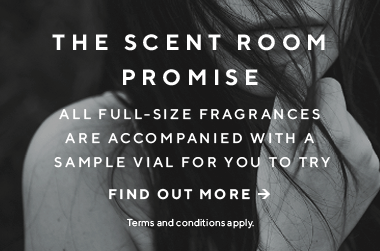 From subtle scents for small spaces to bold fragrances suitable for large areas, create the perfect ambiance and discover a new signature scent for your home. Excellent gifts even for the hardest to buy for, a candle is one of the quickest and easiest ways to elevate and enhance the atmosphere in the home. Which candle should I buy? I want a floral, feminine scent. Created in collaboration with the esteemed fashion designer, Cire Trudon Giambattista Valli Positano evokes white florals carried on a sea breeze. With a burn time of 55 to 65 hours, a cotton wick, and a vegetable wax base that burns smoke-free, this candle will carry you away to the Amalfi Coast in an instant. I want something slightly smokier. Cire Trudon Madeleine was named after one of the most compelling women of the 17th century, Mademoiselle Madeleine Maupin, a noblewoman who was as accomplished a swordswoman as she was on the operatic stage. Flowers blend with leather and tobacco for a rich and captivating candle. How Should I Care for my candle? Good candle care starts from the very first burn. Ensure that when you light your candle for the first time, you let it burn until the surface is completely liquid. Candles that have been blown out before all the surface wax has been melted are likely to tunnel, meaning you won’t get the most out of your new candle. Check each candle for instructions for minimum and maximum burning times, as these will vary with candle size. If the wick shifts in your candle, you can reposition it while the wax is still warm but not hot. When the candle has cooled, protect the surface with a cloche or bell jar to prevent dust from building up. Candles should never be left unattended, and should always be kept away from pets, children, draughts and curtains. Place a wooden base or small plate under your candle to protect the surface underneath. This candle smells like an actual lavender field! It’s such a wonderful, calming scent that fills the entire living area.